Have you ever try to make a beaded jewelry with safety pins? Well, I can answer yes. Because it is a fun, cool and easy craft to try, and the results are even funner! Today, I’ll taking the beaded safety pin to a seriously stylish level. All you have to do is slip multicolor beads onto ordinary safety pins and you can create fun items to wear, share, and swap! 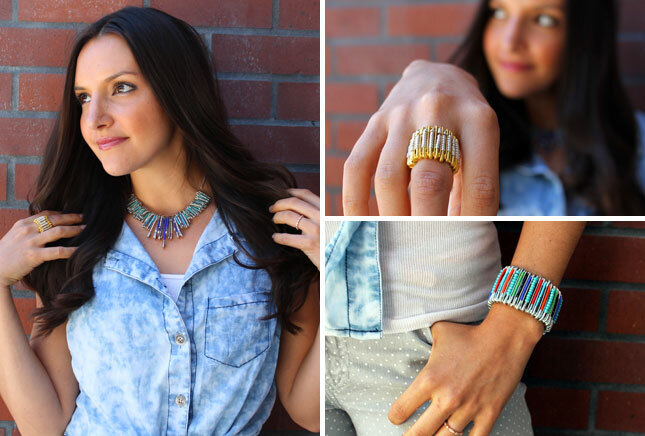 Plus, this beaded safety pin jewelry adds a fun twist to any outfit! Wanna make your own beaded safety pin jewelry?